As one of the web’s leading destinations for travel news and information, MSN Travel provides engaging content served to a loyal user base. Features on the site change seasonally. 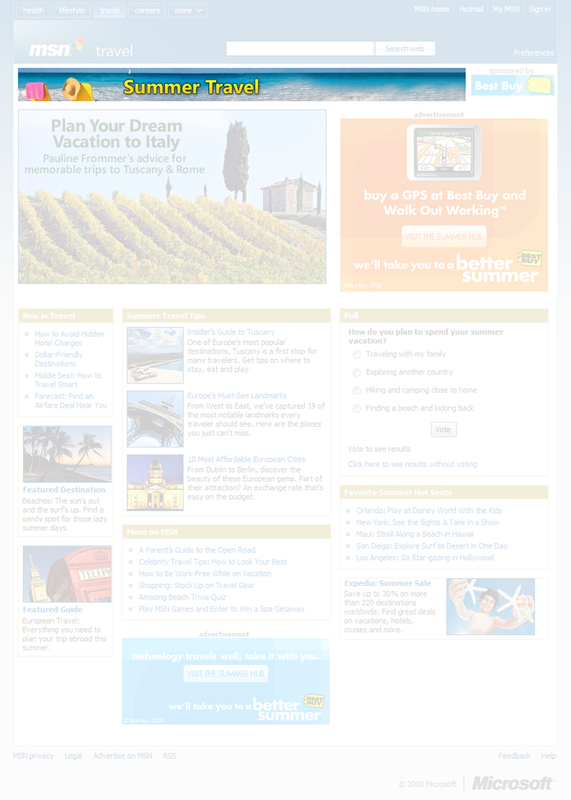 For this project I was asked to design the header image for the Summer Travel section. My goal was to convey a bright, yet relaxing feel that set the tone for the rest of the section.